♦ IF ON SKIN: Wash with plenty of soap and water. ♦ IF INHALED: Remove victim to fresh air and keep at rest in a position comfortable for breathing. ♦ Remove victim to fresh air and keep at rest in a position comfortable for breathing. ♦ Dispose of contents/container to in accordance with local regulation. At Apicmo, we deal with large scale production, synthesis and the manufacture of 6-Methoxy-7-hydroxyquinazolin-4-one for our esteemed clients. Our processes are strictly regulated by a quality system that’s in accordance with the regulations of Current Good Manufacturing Practice (CGMP). Whether you need the product for research or industrial use, we are the experts you can rely on for top-quality and timely delivery of the compound. 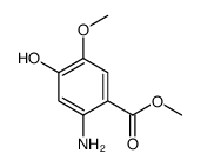 6-Methoxy-7-hydroxyquinazolin-4-one is also referred to as 7-hydroxy-6-methoxy-1, 4-dihydroquinazolin-4-one (IUPAC name);7-hydroxy-6-methoxy-1H-quinazolin-4-one (IUPAC traditional name) or 6-Bromoquinazolin-2(1H)-one. Other names given to this product include 4(3H)-QUINAZOLINONE, 7-HYDROXY-6-METHOXY- and 7-hydroxy-6-methoxyquinazolin-4(1H)-one. 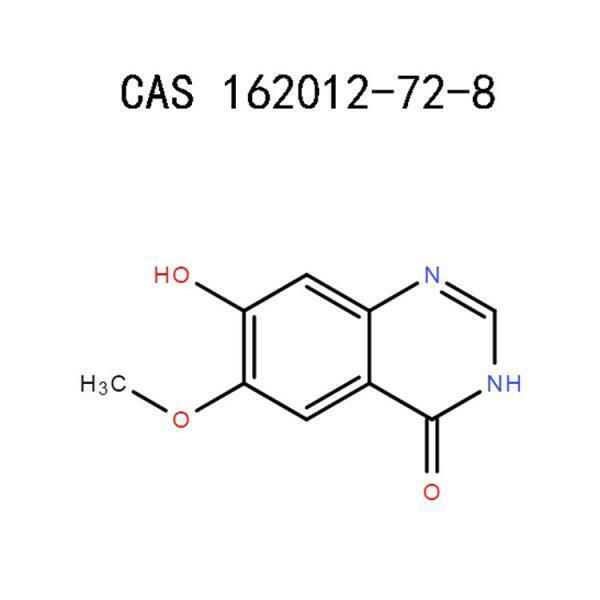 6-Methoxy-7-hydroxyquinazolin-4-one, identified with CAS number 162012-72-8, can be used as 2-arylbenzothiazoles based kinase inhibitor. Its uses are limited to research, development and manufacturing, under the supervision of a chemical expert. A person’s direct exposure to this product can lead to an array of problems, ranging from skin and eye irritation to the irritation of the digestive tract. Considering the risk, the use of the Quinazoline-family compound necessitates utmost care and expertise. As we had earlier indicated 6-Methoxy-7-hydroxyquinazolin-4-one belongs to the Quinazoline. 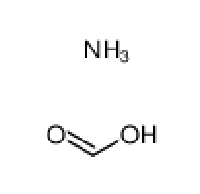 Perhaps you’d like to know more about Quinazoline, don’t you? 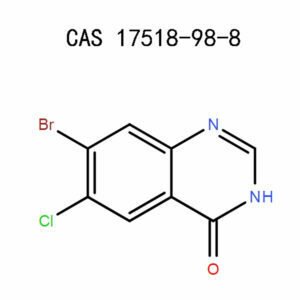 Basically, Quinazolines refer to a heterocyclic compounds bearing anti-cancer properties, hence a promising future as potential radio sensitizers. There’s an ongoing research in an effort to make that happen. 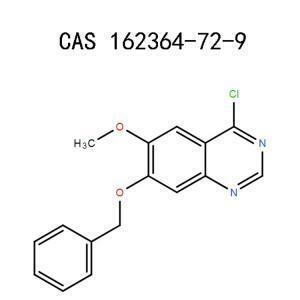 The molecular formula of 6-Methoxy-7-hydroxyquinazolin-4-one chemical isC9H8N2O3 while its molecular mass and Monoisotopic mass are 192.17142 and 192.05349213, respectively. Physically, product is usually in the form of off-whitepowder or chunks and has an authentic infrared spectrum. It comes packaged in a glass bottle and has a molecular weight of 192.174g/mol. If you are interested to know about how much heat it needs to melt, its melting point is somewhere between220 to 313°C. Skin or eye contact: Whether it comes into contact with your skin or your eyes, 6-Methoxy-7-hydroxyquinazolin-4-one can cause a serious irritation to the involved part, whether an eye or skin. In as such, you should ensure that you handle it carefully, preventing any direct physical contact with it. Inhalation:Try as much as you can to avoid inhaling the chemical, irrespective of its form (dust or spray) as it has can have an adverse effect on your respiratory system. Specifically, it can irritate your respiratory system. Swallowing:This product should not be ingested by all means, even in its tiniest traces as it is very toxic. It can actually cause irritation to the digestive tract. Inhalation:In case of inhalation, the victim should go or be taken to a place with fresh air, preferably outdoors. He should then rest in a position that will help him or her breath comfortably. If too weak to do so, someone should assist him or her. Skin contact:if by bad lack your skin comes into direct contact with the product, you are advised to wash the affected part with lots of soap and water. This will get rid of most the chemical from your skin, preventing (further) irritation. Ingestion:In case someone happens to swallow this product, he or she is advised to rinse his or her mouth severally using clean water. This will prevent or reduce the irritation caused by the substance. Eye contact:If the product gets into your eyes, you should flush them with clean water for at least 15 minutes. Lift your eyes regularly as you flush them to lift way most of the chemical if not all. In severe cases, the above first aid measures might not offer comprehensive relief. In as such, if an eye irritation persists or skin irritation occurs, it is advisable that the victim visits a doctor soonest possible. Wear protective wears : A pair of gloves and a dust mask comes in handy while handling 6-Methoxy-7-hydroxyquinazolin-4-one. The mask will prevent you from inhaling it while the gloves will avert skin contact with the chemical. The gloves should not be just any random type but those that meet EN 374 standard and the specifications of EU Directive 89/686/EEC. Use it exclusively in an outdoor area or a place with proper ventilations. Dispose the protective wear responsibly: Once you are through with the use of the product, remove the gloves and the mask in a manner that doesn’t make you have direct contact with its traces which are on their surfaces. In short, avoid touching the external surfaces of the gloves and the mask with bare skin. After removing the used protective wears, dispose them of in accordance with proper laboratory practices and the applicable standards/laws. Wash your hands: To be certain that your hand is completely free from the product and you are not at risk of its possible effects, wash your hands thoroughly with clean water and soap once you have removed the gloves and the mask after using it. Then, dry your hands and proceed to whatever else you want to do. Don’t eat, drink or smoke: To avoid ingesting the chemical, you should avoid eating, drinking and smoking while handling it. Remember that the product can be harmful if swallowed. You don’t want to have problems with your digestive track, do you? Then take care as advised here. When you are not using the product, close its bottle tightly and store it in a cool, dry and locked-up place with proper ventilation. If you want to dispose the chemical or its container of, do it according to the local regulation(s). The information we have provided there on this site complies with the regulations of the European Union (EU). Besides, the information is truthful and accurate according to the best of our conviction, knowledge and information as at the date it was published. However, the information is exclusively meant to guide the users of the product how to handle and use it safely. In as such, the information should neither be treated as a warranty nor quality specification. Apicmo boasts an incredible team of top-cream scientists with comprehensive research knowledge including in Chromatography, Life Science, Chemical Synthesis, and Material Science, among others. 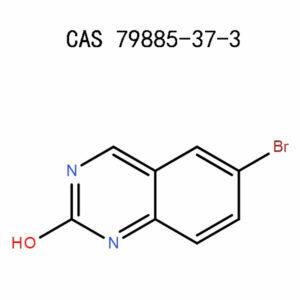 Place your order with us now for 6-Bromoquinazolin-2(1H)-one in bulk. You’ll be amazed to find out from our highly professional and friendly customer service how pocket-friendly our prices are. Whether you need the product for research or manufacturing, we shall ensure that we deliver your order on time and in the best condition. National Centre for Biotechnology Information, US. National Library of Medicine, Pubchem, 6-Methoxy-7-hydroxyquinazolin-4-one, Sections 1-9.